Thinking about IT equipment disposal? Not sure what to do with it all? Read this article to learn the benefits of recycling old IT equipment. Your old computers have been with your IT staff through thick and thin. But now, it’s time to let them go. The question is, what’s the most efficient way to go about IT equipment disposal? Computers have essentially taken over our world. They have changed how individuals work and communicate, no doubt adding value to our lives. Unfortunately, when they have reached the end of their lives, you’ve got potentially hazardous e-waste on your hands. If you’re not sure what to do with it all, why not recycle it? Here’s a rundown of the many benefits of recycling old IT equipment. Research shows that back in 2015, more than 40 million tons of e-waste ended up being discarded. In the United States alone, three million tons of this waste is generated each year. Can you imagine what would happen to other living species if we didn’t care about where all of this waste ended up? Unfortunately, some technology owners don’t, so they end up here and there and everywhere — not exactly good for the environment. And then there’s the age-old problem with landfills. These landfills occupy large amounts of space. They also have a tendency to release toxins, such as lead and mercury — notorious for polluting the environment. If the toxins end up entering the groundwater, this can greatly degrade our water quality. Also, if they mix with the air, they result in unhealthy air pollution. Rather than putting your e-waste in landfills, recycle them by sending them to a commercial buyer of IT equipment. In this way, salvageable materials from your equipment, such as circuit board metals, steel, glass, and plastic, can easily be recovered to create new products. That means less mining for brand-new raw materials, which saves the energy required to manufacture new products. This further benefits Mother Earth. Mother Earth isn’t the only one who benefits from proper IT equipment disposal. Remember the toxins we talked about earlier — the ones released into the air and water when e-waste enters landfills? Here’s a look at what these toxins can do to your body. When you allow your IT equipment to be reused, you keep these dangerous chemicals out of the environment, where they may end up harming you and your fellow man. It’s part of being a good neighbor in this high-tech day and age. And it’s about doing right by your children and their future fellow man, too. Another reason to pay close attention to IT equipment disposal? It benefits the economy. Considering that the majority of your IT equipment is recyclable, recycling electronics can be an excellent way of creating jobs. After all, somebody’s got to buy your equipment, right? And the more you, your neighbors, your family, and friends commit to sending your equipment to a recycling company for processing, the greater the chance that these jobs will be around in your local area for a long time. Tempted to simply pitch that old personal computer in the trash? Resist the temptation. Trust us; it’ll do your business’s coffers some good. Why? Because failure to follow state and federal regulations regarding the safe disposal of computers may lead to a heavy penalty in the form of hefty fines and even cleanup costs. It literally pays to do the right thing with your e-waste. When you choose to recycle your old computers, you’re also helping people on the other side of the world in ways you may have never imagined. 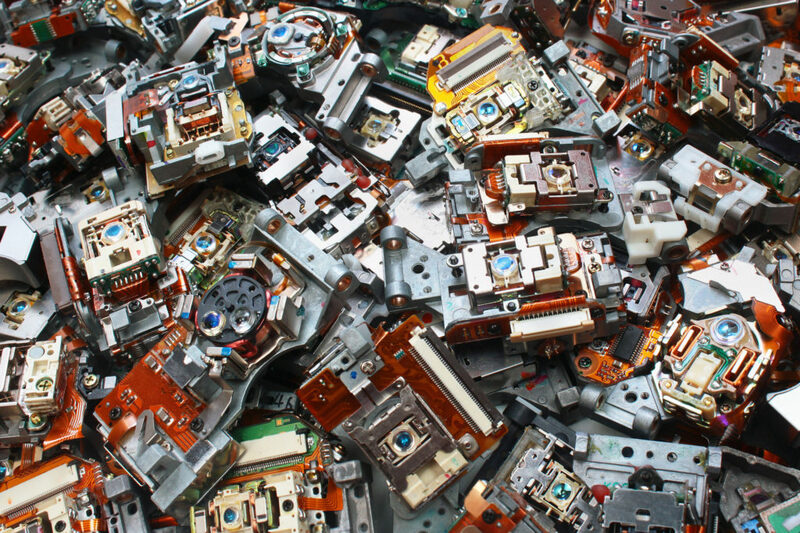 Your electronic waste is typically sent over to third-world countries. Here, manufacturers can enjoy inexpensive labor. Unfortunately, impoverished workers end up being exposed to the dangerous toxins that the e-waste releases. But if you recycle your equipment locally, you protect these workers from the threatening chemicals to which they otherwise would be exposed. Besides your trusty-dusty PC, a wide range of other IT equipment can easily be recycled. Items that can be recycled from these companies include routers; a variety of switches, including network switches; telephones and even VPN, or Virtual Private Network, security appliances. If you’ve got LAN, or local area network, controllers or even transceiver modules, a quality electronics recycling company can take these, too. So, you’re convinced that IT equipment disposal is a smart move for your company. Now what? The process of recycling your old electronics is relatively straightforward. Once you’ve talked to a buyer agent about what you want to recycle, the buyer agent should give you a purchase quote. Once you’ve accepted the quote, you can prepare your e-waste for shipment. Just be sure to use materials such as packing peanuts and bubble wrap to keep your equipment protected in transit. After all, you won’t get paid for any items that end up being damaged due to negligent packaging. After your electronics buyer has received your equipment, the warehouse staff there will audit and inventory it. And then the best part happens — you get paid. It’s a win-win for your business and for Mother Earth. Mother sure would be proud. We are specialists when it comes to efficiently and quickly purchasing your old equipment. Our goal is to save you time as well as maximize the return on your investment. Get in touch with us to find out more about how IT equipment disposal can benefit your bottom line, the world around you and the generations to come.